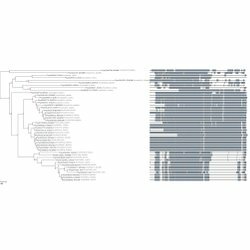 A Python framework for the analysis and visualization of trees. 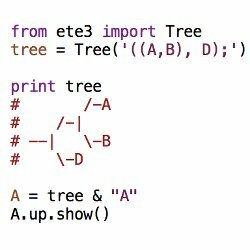 Load, create, traverse, search, prune, or modify hierarchical tree structures with ease using the ETE Python API. Get full control of your tree images. Browse them interatively or render SVG, PNG of PDF images. Custom node attributes can be rendered as graphical elements. Choose among external images, charts, symbols, text labels, and more! 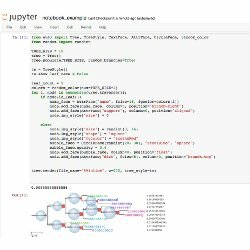 Prototype your methods using the Jupyter notebook framework including inline visualization of trees. 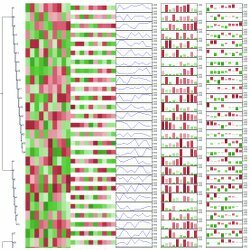 Automated reconstruction of gene and species trees. 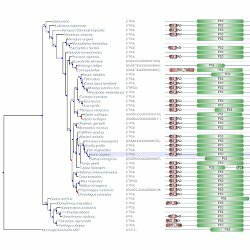 Run phylogenetic workflows with ease. You can run CodeML and SLR easly using ETE, as well as visualizing results. 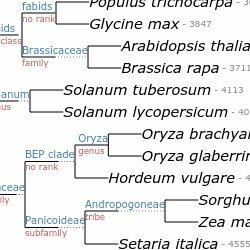 Annotate trees with taxonomic data. 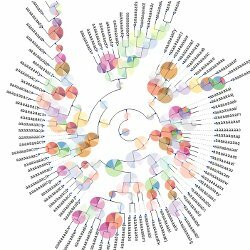 Use the NCBI taxonomy database to perform queries efficiently or to annotate your trees. Choose among detailed view, block-based, domain-based or condensed alignment formats. You can estimate distances between gene and species trees of a different size and with duplicated events. 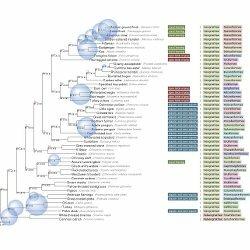 You can summarize phylogentic signal from multiple gene trees into a single species tree. 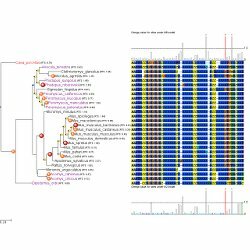 ETE 3: Reconstruction, analysis and visualization of phylogenomic data. Jaime Huerta-Cepas, Francois Serra and Peer Bork.